Love is patient. It can happen when you least expect it, where you least expect it, with whom you least expect it. But love may not grow out of kindness. It can happen with the person who hates you most because love knows no bounds.And it keeps no record of wrongs. Love doesn’t hold a grudge. Love forgives. Love forgets. But when the healing of your heart breaks the hearts of the ones you love …. it may seem impossible to Find Joy. Jenni Moen lives in her hometown in Oklahoma with her husband and three crazy, exuberant kids that have the potential to burn the house down at any moment.When she’s not chauffeuring kids around town, performing her mom duties as a short order cook and maid, or vacuuming for her fastidious husband, she hammers away at her keyboard at her big girl job as a patent attorney. While vodka and exercise have provided some relief from the daily grind, it is reading … and now writing … that are her true escapes. My name is Melissa DeOlmos, a newbie to the world of indie writing. I live in sunny side Palm Bay, Florida with my two lovely crazies ages five and two, along with my Law Enforcement champ of a husband. I could say that writing novels has been a passion that I've always pursued, but I can't. Writing for me has always been my own secret escape into a land of wonders, opportunities; loves and so much trouble that I sometimes wonder if I need medication for the stories that pop into my head. I am now deciding to share my mystical mind and stories with the world, so that hopefully others may also find that little something extra they've been looking for. Thank you and I hope you enjoy my books. I’m going to make you wish you were dead. Just a text. Seventeen-year-old Rebecca Hales tries not to worry. Probably a wrong number. Not really meant for her, and definitely not related to the crime she witnessed six years ago. Right? Then two states away, a bomb goes off in her best friend's locker. Soon Ryan is labeled a terrorist and runs to the safest place he knows—Rebecca’s house in small-town Wyoming. It doesn’t take long for the FBI to show up asking questions. Rebecca lies, of course, and says she hasn’t seen him. Now she's neck-deep in it with him, whatever "it" is. The only way out is to return to Vegas, where Ryan is a wanted man. The city of lies and illusion puts Rebecca’s small-town wits to the test as she struggles to find the person who framed Ryan and why. Is Rebecca’s text linked to the bombing? And what does it have to do with a six year old murder? Rebecca needs to find out before she loses Ryan—and her own life. 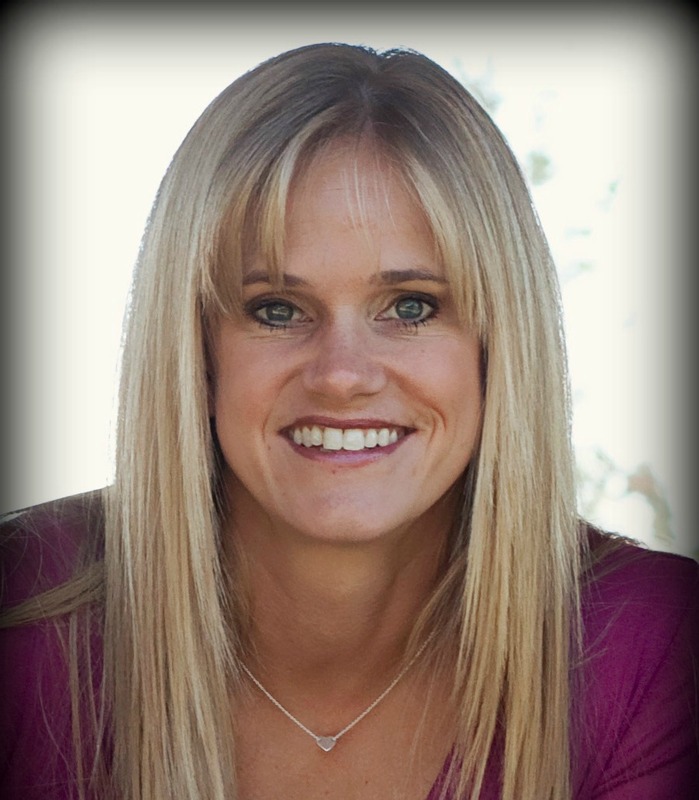 Michelle A. Hansen was raised in southeastern Washington. She earned her bachelor of arts degree in English teaching from Brigham Young University in Provo, Utah, and taught high school English for six years. Michelle loves Pepsi and Doritos more than chocolate. She loves summertime and hates to be cold. She has had three near-death experiences. She’s addicted to office supplies and has an irrationally large stash of pens and notebooks. 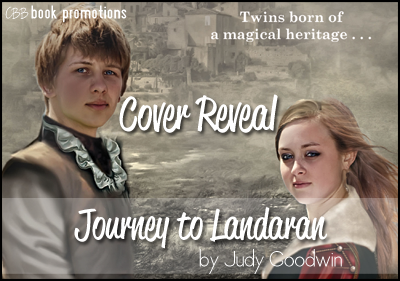 I'm excited to reveal the cover for the YA Fantasy, Journey to Landaran by Judy Goodwin. This book is scheduled to release February 1st, 2014. This stunning cover was designed by Katt Amaral. 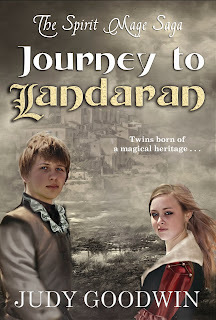 Aidah and her twin brother Tavish have always had a knack for getting into trouble. From pie stealing and pranks to hunting for magical creatures, they have always escaped notice in their tiny mountain village. Aidah's movement was too sudden. The branch she stood on snapped, and she fell back, tumbling down the nest towards the brink of the ledge. Tavish reached out and caught hold of her tunic as her legs slipped over the edge. She tried to grab for his arm, but her body was turned awkwardly. At least her predicament seemed to have one benefit. The roc, startled by her fall, wheeled away. Aidah didn’t have time to see if there were any other flying creatures down there, such as a few frightened wyrret parents. The tunic tore. Aidah scrambled to get hold of something, anything,. She felt herself falling, and then Tavish’s fingers clamped hard around her wrist, his short nails pinching into her skin. “Sis, don’t move. I’m not secure here. Just stay still and let me pull you up.” She looked up at her brother holding her with one hand, trying to get a foothold or any kind of handhold on the cliff to brace himself in order to pull her back up. The fact she was looking up at him alarmed her--she was truly hanging off the cliff, her shoulders rubbing the hard granite of the edge, her lower body dangling. Tavish found a rock to hold onto and pulled, but while the cords in his neck jutted out and his arm trembled with effort, he couldn’t pull her up even a little before his feet began to slip. She very carefully grasped his arm with her other hand, but still he was not quite strong or secure enough. Aidah’s heart pounded through her rib cage, as fear began to sink in. If she fell, it would be a messy death. Death wasn’t something she ever really thought about, yet here it suddenly was, glaring at her. The two of them struggled, trying to get her up, but it was useless. She swallowed back a moan as tears burned in her eyes. “Gods, if I knew a spell to fix this!” Tavish gasped. His words seemed to trigger something within her. Strength, that was what he needed. If only she could somehow lend him strength . . .
A blinding pain tore at the base of her skull, and she could suddenly hear Tavish muttering to himself, although his lips were firmly pressed shut. She didn’t have time to listen to what he was saying, however, before a pressure wave suddenly went through her body, traveling from the soles of her feet up through her torso and out through her hands where she gripped Tavish’s arm. As the wave passed, strength left her, darkening her vision. She opened her mouth to scream, thinking perhaps she was dying. With a cry, Tavish pulled hard at her, and she found herself on the cliff again, in Tavish’s arms lying at the very back of the ledge. Apparently he had pulled so hard he’d sent both of them back several paces. Even now he looked ready to do it again--there was no trace fatigue. She, on the other hand, felt pale and sickly. The world spun, and she was afraid her knees wouldn’t hold her up. Trembling, she tried to get up and failed, falling back against her brother. He set her down and got up, brushing snow and dirt from his trousers. “Wow, where did that come from, I wonder? I feel like a fresh ox! I think I could move a mountain right now! Did you do something, Sis?” He paced around stretching out his arms and legs, as if unable to stand still. The world was graying out to Aidah and she found it difficult to follow what Tavish was saying. Her head was pounding with one of the worst headaches she’d ever had. “I don’t . . . think so. Maybe your magic helped you. Can we go home? I’m not feeling so well . . .” The world suddenly tilted and fell into blackness. could read and write. She continued this passion throughout her schooling, earning her BA degree in Creative Writing from the University of Arizona. In her day job, she works as a technical writer in the healthcare field. 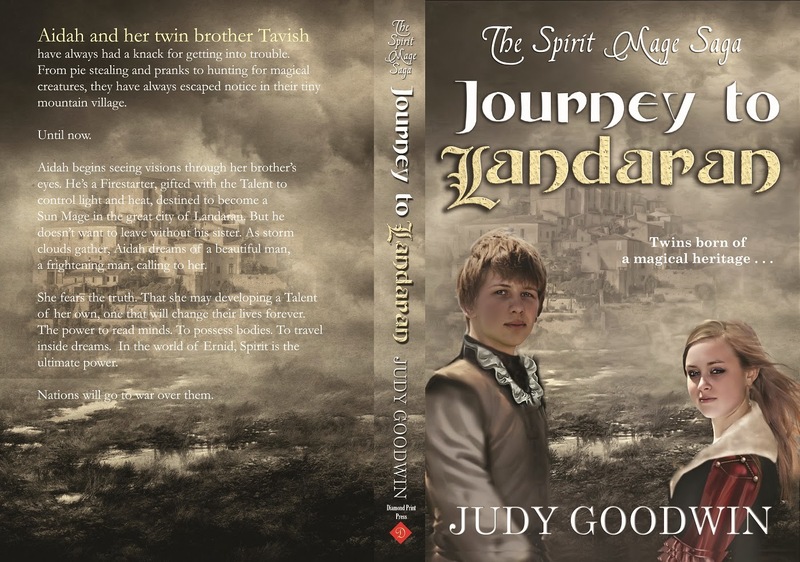 She enjoys sharing her love of books and fantasy with her daughter and partner. They live in Gilbert, Arizona, with two Shiba Inu (Japanese) dogs, one wiener dog, and four black cats. Ms. Goodwin has published short stories in small press and online magazines including Space and Time, Dreams and Nightmares, Alienskin, and Beyond Centauri. With the advent of eBooks and indie publishing, she decided to move into the brave new world of publishing with the debut of her first novel, Heart of the Witch. Journey to Landaran is her second full length novel, the first installment of the Spirit Mage Saga. Inside the walls of her Upper East Side mansion, Kaitlyn is struggling. After her parents' divorce and her father's remarriage to a beautiful but otherwise utterly vapid woman, Kaitlyn quickly finds herself living in a realm of self-created fantasy, completely detached and entirely clashing with her new family â particularly, her classmate-turned-stepbrother, Marius. Arrogant and with a penchant for playing games, he is intrigued and infatuated by Kaitlyn's faux-chaste outer facade that she uses to cover an otherwise calloused heart. 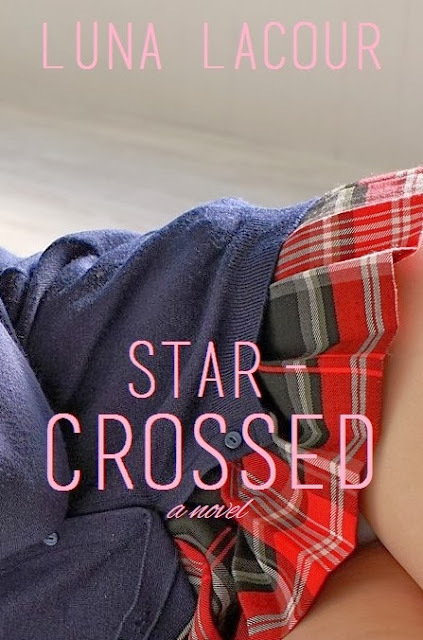 When an initial spark turns into full-blown obsession, and her affections are inevitably returned â Kaitlyn learns that there are no actions without consequence, and some affairs are simply star-crossed. Check out the Dream Cast for Star-Crossed! I'm a reader, lover of coffee and all things comical, and the author STAR-CROSSED (January 2014). Such is the warning Koral has heard for twelve years. Born a product of genetic manipulation, he knows little else of the world beyond the steel walls of his home. But when fate gives him the choice between certain death and the unknown, there’s no question in what he must choose. And he is about to find out the sands he must brave are full of more than mere monsters. Providing the desert doesn’t kill him first. This is a world ruled by instinct, where innocence is drowned in blood. Here, men are offered up to the great Serpent God, Lorric, only to emerge as the most feared killers on the planet: The Rogues. Born and raised in New Zealand, Aldrea Alien lives on a small farm with her family, including a menagerie of animals. Since discovering a love of writing at the age of twelve, she hasn’t found an ounce of peace from the characters plaguing her mind. Lee Murray writes fiction for adults and children, for which she has been lucky enough to win some literary prizes. Her novels include A Dash of Reality, Battle of the Birds, and Misplaced. Lee lives with her family in New Zealand. Wild rage coursed through my veins. Mason's diabolical plan had actually worked. In a matter of minutes he had kidnapped me, stripping me of everything...money, family and freedom. It was humbling, depressing, and damn infuriating but I refused to go down without a fight. I refused to be defeated. Boulder would find me. I didn't know how, but I felt it deep in my soul. Boulder---the one man that made my body quake with just one look. It was madness. There was so much I didn't know about him. For that matter, there was so much that he didn't know about me…the evil darkness lurking inside me, waiting to be unleashed. That's where most men failed. Accepting the real me…but after years of hardening my heart, and sealing it behind a steel cage, I was ready to give myself to him freely, knowing that he planned to take everything I offered with both hands, until all I thought of...and wanted...was him. I love two men. I screw two men. I am in a relationship with them both, and they are both aware that there is another. That is all they need to know, that is all I will let them know. They don’t need to know a name, they don’t need to know anything but that they are not alone in my heart. They have accepted the situation. Stewart, because his life is too busy for the sort of obligations that are required in a relationship.Paul, because he loves me too much to tell me no. And because my sexual appetite is such that one man has trouble keeping up. So we exist, two parallel relationships, each running their own course, with no need for intersection or conflict. It worked for us, for them, and for me. I never expected it to be a long term situation, I knew there was an expiration date on the easy perfection of our lives. I should have paid more attention, should have looked around and noticed the woman who watched it all. She sat in the background and waited, tried to figure me out. Saw my two relationships, the love between us, and plotted our demise. She hates me. I don’t even know she exists. She loves them. I love them. And they love me. Everything else hangs in the balance. Alessandra Torre is a new author who focuses on contemporary erotica. Her first book, Blindfolded Innocence, was published in July 2012, and was an Erotica #1 Bestseller for two weeks. Alessandra is currently working on the sequel to Blindfolded, which will be released in 2014. Alessandra lives in the Southern United States and is married, with one young child. She enjoys reading, spending time with her family, and playing with her dogs. Her favorite authors include Lisa Gardner, Gillian Flynn, and Jennifer Crusie.